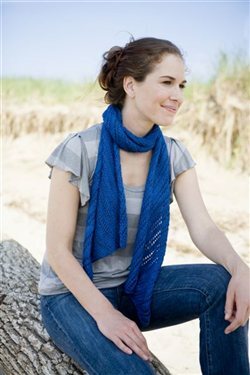 This flowing scarf is formed with lace pattern that creates a natural bias in the fabric, resulting in a parallelogram shape. The simple stitch pattern is easily memorized and almost hypnotic to knit. Wrap it around your neck a few times to keep warm, or wrap it once loosely for a perfect accessory for transitional weather.